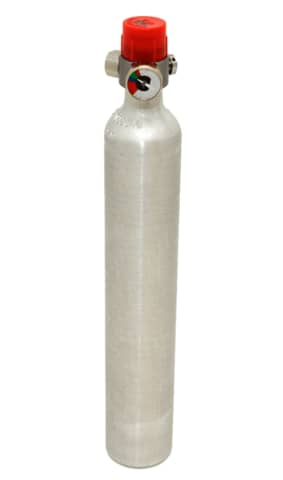 Spare canister for AviVest airbags (original AviVest and Impact Vest). Filled to 3,000 psi with compressed air. One (1) replacement cylinder (Full) for the Avi Vest (fits both Medium and Large Sizes). Filled & Certified at WARI. Consists of cylinder, cylinder head w/ pressure gauge, burst disc, fill port and puncture disc, and shipping cap. Simply remove shipping cap and screw into Avi Vest to recharge.